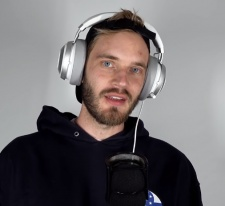 Felix 'PewDiePie' Kjellberg has launched a GoFundMe to raise money for children in India. The YouTube star is raising money for CRY, an Indian charity that aims to combat child labour in the country. In less than 24 hours, the campaign has raised over $80,000. Other digital personalities jumped in to support the cause; YouTuber Mark 'Markiplier' Fischbach and Minecraft creator Markus 'Notch' Persson both donated $10,000 each. For those unaware, Kjellberg has been the owner of the biggest YouTube channel since 2013. His reign is being threatened by T-Series, an Indian music channel. As a result, his fanbase has rallied to keep him on top by urging people to subscribe. This rampant campaign has seen Kjellberg grow by another 5 million subs in less than 30 days. While Kjellberg himself seems to see the competition as a bit of friendly fun, his fans are taking wild measures to make sure he remains the most-subscribed YouTube channel. This week, a hacker hacked printers to send out messages urging people to subscribe to him. Either way, Kjellberg's fundraiser may actually see a significant amount of money donated towards CRY. Or as Kjellberg called it: '9 years olds helping 9 years olds'.